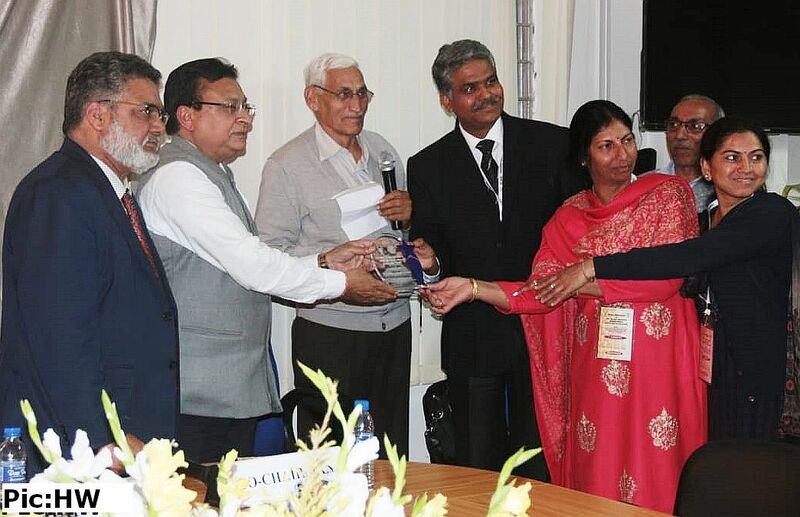 Solan: Jagriti Thakur, a research scholar at the Dr YS Parmar University of Horticulture and Forestry (UHF), Nauni, has been conferred with the US-based International Plant Nutrition Institute (IPNI) Scholar Award for the year 2018. She is among the 30 research scholars from across the globe, who have been conferred with this prestigious award. Jagriti is a doctoral student at UHF’s Department of Soil Science and Water Management. 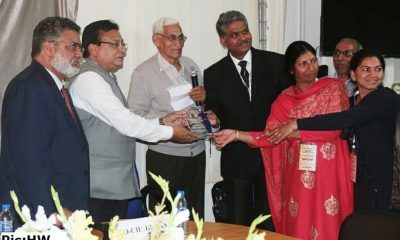 The IPNI award has been conferred on Jagriti for her PhD thesis research synopsis. The regional committees of IPNI scientific staff select the recipients for this award. 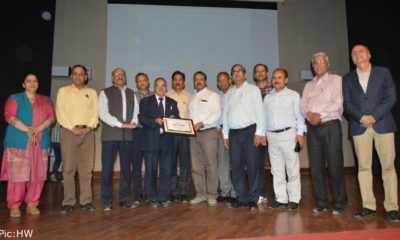 The award carries a cash prize of 2,000 US dollars and a recognition certificate, which will be presented to Jagriti during a ceremony at the University by IPNI. Hailing from Bhuntar in Kullu district, Jagriti has completed her BSc and MSc degrees from UHF and is presently pursuing her doctoral research on the topic, ‘Standardization of irrigation and fertigation schedules for apple under high-density plantation’. 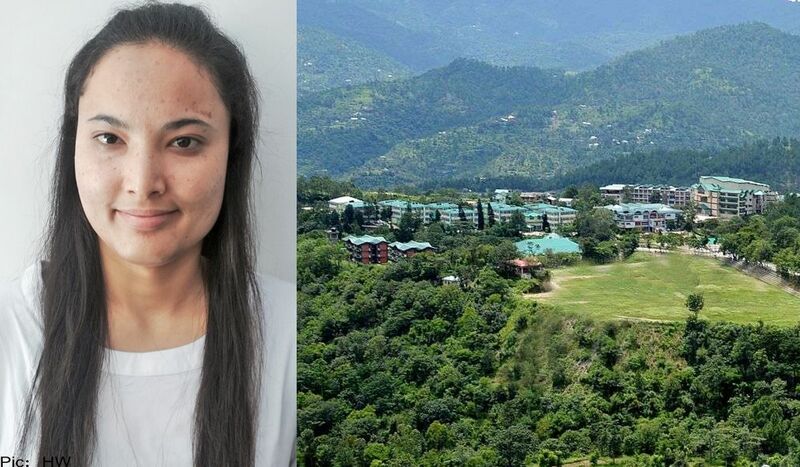 For the past one year, she has been conducting research at the university’s high-density apple plantations, raised under the Himachal Pradesh Horticulture Development Project (HP HDP). Apple is a major cash crop in Himachal and therefore a lot of importance has been given to its high-density plantations under the HP HDP. The award recognizes our efforts and gives greater impetus to our research, which will help us to determine the water and nutrient requirement for apple under high-density plantation and ensure proper utilization of these resources. 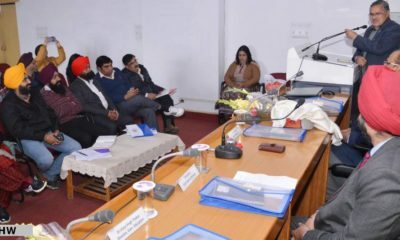 Thanking her parents and University Professors for their guidance and support, Jagriti said that she will now work even harder to develop the irrigation and fertigation schedule for apple under high-density plantation which will be helpful for better utilization of resources and raising farm incomes. She is hopeful of developing the schedules within the next two to three years. It is a proud moment for the university, as only 30 scholars were selected across the world for this honour. The award is a testimonial to the quality research being carried out at the university. The International Plant Nutrition Institute (IPNI) Board of Directors offers two awards of interest to graduate students and scientists working in plant nutrition and management of crop nutrients. Priority is given to the relevance of the proposed research in support of IPNI’s mission. Students in the disciplines of soil and plant sciences including agronomy, horticulture, ecology, soil fertility, soil chemistry, crop physiology, and other areas related to plant nutrition can apply for the award.